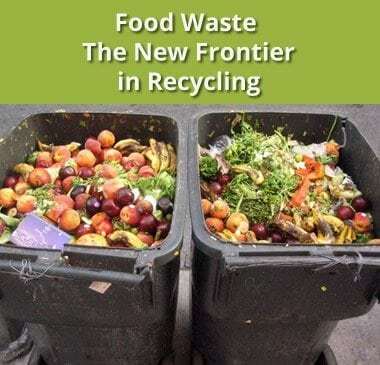 In part 1 we looked at the urgent need to divert food waste away from landfill to composting. We also looked at the educational value of getting students involved in the composting process. In part 2 we explore three common types of composting and their relative merits for school composting programs. 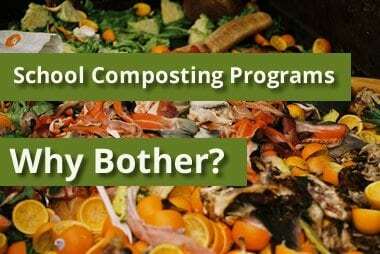 Many composting practitioners adopt an either or approach, choosing one method over another. But each method has its advantages and limitations and a strong case can be made for integrating at least two, if not all three methods. 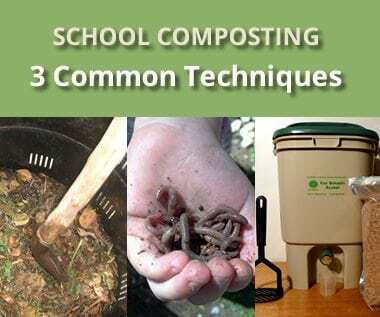 We suggest any school interested in starting a composting program gives serious consideration to including the Bokashi method into their process. Bokashi is very low maintenance. Moreover it adds a level of flexibility and convenience that other methods do not when used alone. Not to be confused with Bokashi printing, Bokashi composting is a centuries old Japanese agricultural technique. In Japanese, Bokashi literally means “shading off” or “gradiation”. Phase 1: Pre-cultivated bacteria break food waste down anaerobically in sealed bins. A liquid by-product, Bokashi Tea, is also collected periodically. Phase 2: After two weeks or so in a Bokashi container, the treated food waste can either be transferred to a traditional aerobic composter(see below) or, buried where it continues to break down without harmful emissions or side effects. Bokashi bins are air tight containers, with drainage reservoirs and taps at the bottom for collecting “Bokashi Tea”. With each batch of food waste that goes into the bin, a quantity of Bokashi culture is added on top. Bokashi culture (often called Bokashi Mix) usually comes in the form of a coarse, dry dust or powder. It’s traditionally made from rice bran. The great convenience of Bokashi is that it composts any kind of food, including meat, bones, animal fat, dairy, onions – absolutely anything except thick woody stems. Another key advantage of Bokashi is that unlike traditional composting which, emits CO2 and small quantities of methane, it produces very little, if any, bio-gas. Bokashi containers are air tight and do not need gas escape valves. Bokashi tea is a highly acidic, nutrient rich liquid (leachate) that’s naturally extruded by the fermentation process. Diluted Bokashi tea can be applied to lawns and gardens as a fertiliser. 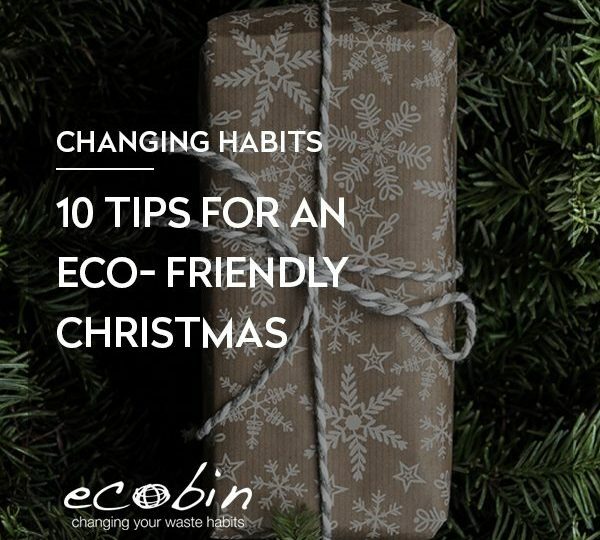 It can also be used to water aerobic compost heaps. Undiluted, it can be used as a natural toilet and drain cleaner. It kills harmful bacteria and gets rid of bad smells. Managed correctly, Bokashi does not emit bad smells. It does emit a sweet, vinegary fermentation odour, which some liken it to the smell of pickled food. This is not overpowering however, and if necessary, it can be controlled with a special spray. Moreover, the process does not attract vermin, fruit flies or other insects. A vessel to collect and store the the Bokashi Tea. Or a shovel to dig holes for the waste. This method has been used by western farmers and gardeners throughout the ages to convert organic waste into a cheap, effective fertiliser. An ideal mix comprises one to two parts brown ingredients to one part green. Water is added to moisten the brown ingredients at the start of the process. The mixture needs regular, frequent turning to expose it to air. Composters: enclosures or containers for holding compost. Ideally you’ll have two or more of these for different batches of compost.There are many different types of compost enclosure. Most modern composters are made of plastic. They can take the form of revolving barrels on stands with two or more compartments, free standing cylinders with opening side panels, and large wooden enclosures with open tops, bottom and gaps between the wall planks to allow air circulation. An aerating fork, or large garden fork. Worms can eat their own weight in food every day and excrete a fine rich fertiliser. Worm poo (aka worm casting) is wonderful stuff as it increases bio-availability of the key elements phosphorus, nitrogen, magnesium, and calcium. Besides worm compost, the farm also produces a nutrient rich liquid that needs to be collected periodically. Diluted, this also serves as a fertiliser. A worm farm can process a similar range of food and paper materials to traditional aerobic composting with a few additional limitations. A critical factor in managing a worm farm is the operating temperature. The optimal temperature range is 16 – 30 degrees Celsius. Above 30 degrees they will be uncomfortable. At 36 degrees Celsius and above, worms will start to die and may attempt to a mass migration from their home. Below 16 degrees they will eat less and stop reproducing. At 5 degrees Celsius the worms will die of cold. An ideal location for Australian schools, then, is a cool shady classroom or lab that will remain cool enough for the worms when the school is not in use over weekends etc. One other factor in temperature management is making sure not to put too much food waste into the farm at once. 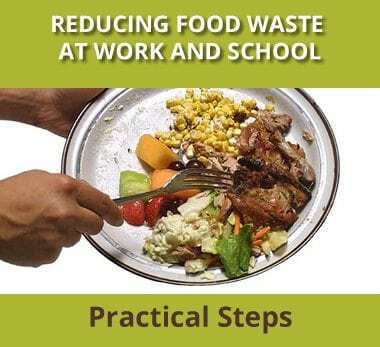 An over supply of food will set off an aerobic composting process, which generates a lot of heat. This can be fatal for the worms, as temperatures can rise to 70 degrees Celsius, well above habitable levels. Worm Farm Container: Ready made worm farms are widely available. Some councils supply them. They’re also easy to find online and at garden shops. Alternatively, they’re very easy to make. A couple of stacked polystyrene boxes make an ideal worm farm. There are also many more elaborate project ideas to be found online. A vessel to collect and store the liquid runoff. Starter packs of composting worms. These are widely available from specialists and outlets such as Bunnings Warehouse and Masters. Composting worms are different from regular garden worms. The Red Wriggler is the most popular variety. Composting is fun and interesting. It offers tremendous educational potential across many disciplines for students of all ages. It’s also way to take responsibility for the future wellbeing of the earth and all its inhabitants. It need not be an expensive undertaking. All the equipment required can be sourced inexpensively and most of it can be improvised from recycled materials. It’s even possible to make your own Bokashi mix. For maximum effect and convenience we recommend combining Bokashi with traditional aerobic composting. Consider a worm farm for additional interest value. Two issues we’ve not addressed here are planning (some management will be necessary during school holidays) and what to do with your compost. One option for using the compost is to run your own vegetable garden. Another, is simply to give the compost away to parents, local gardeners or farms. If it’s high quality compost you can even sell it.